Yes, we've heard you for a while now. You just NEEEEED that Pammy Gnome... well, she's finally in stock! 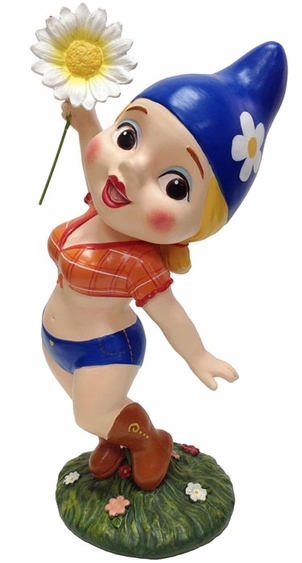 After hundreds of begging requests for what some people have been referring to as Dolly Gnome, (because she's a doll and of course Dolly Parton was the voice in the movie), we've finally been able to get approval to move forward and expand our Gnomeo & Juliet collection with Pammy, yep that's her name, a new Pammy Gnome Garden Statue! We're not sure how many productions we will be allowed to run due to licensing issues so if you want one for sure, order her today! All orders usually ship the same business day. We love the cast of Gnomeo & Juliet and this new Pammy Gnome is going to look awesome in your flower garden and also makes a great gift!